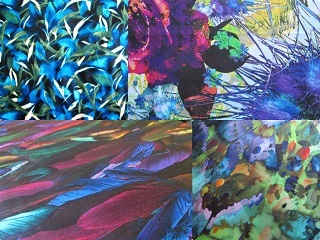 This fabric is a very good quality silk charmeuse, full of body and drapey goodness. 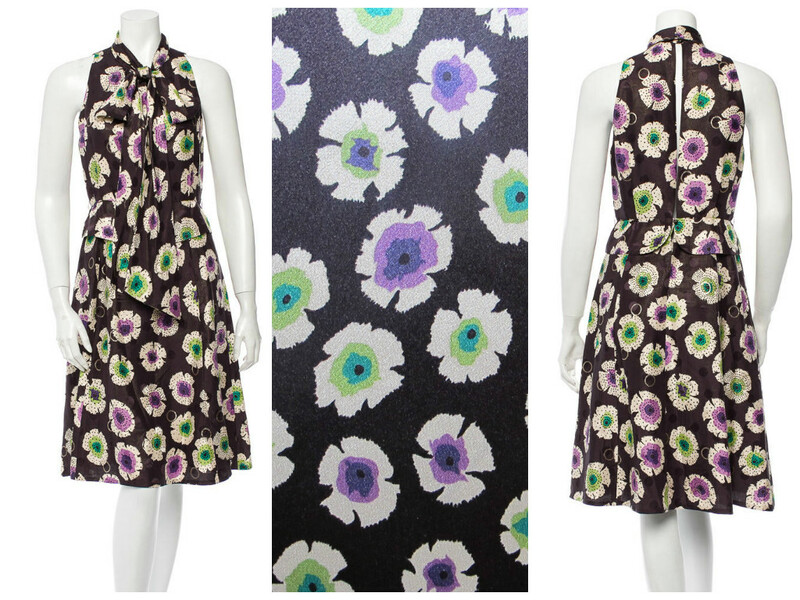 The print is a smaller scale one than is featured in this dress though, and I prefer it at this smaller scale. The background colour is a very deep aubergine/mushroom sort of colour. 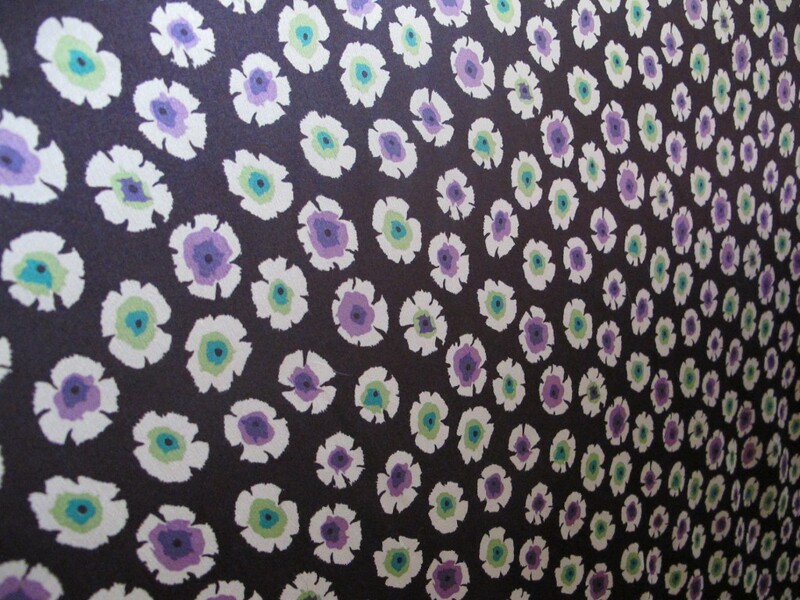 The stylised flowers – are they meant to be anemones? I don’t know my flowers well enough to say – have a soft cream outer and inners in grape and kiwi colours. The palette is very lovely. 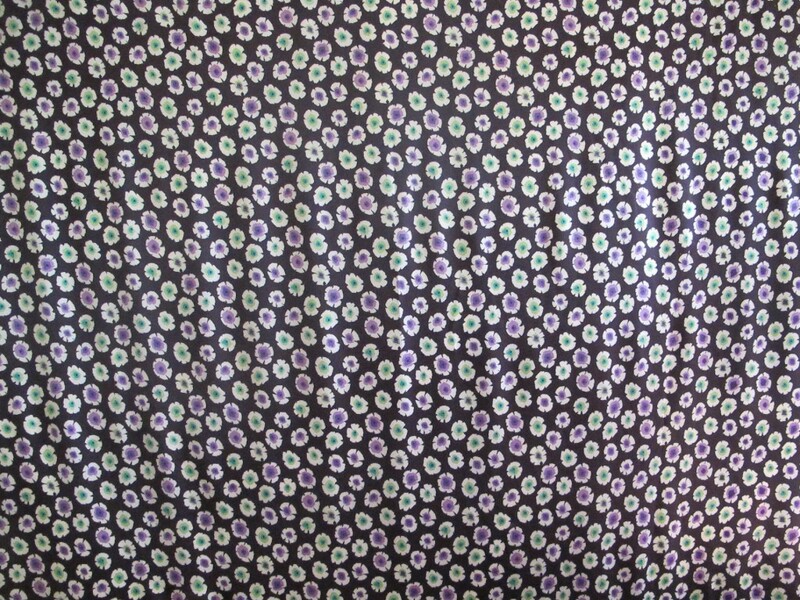 Again, this is a Mood fabric. I have spent an absolute fortune there over the years! 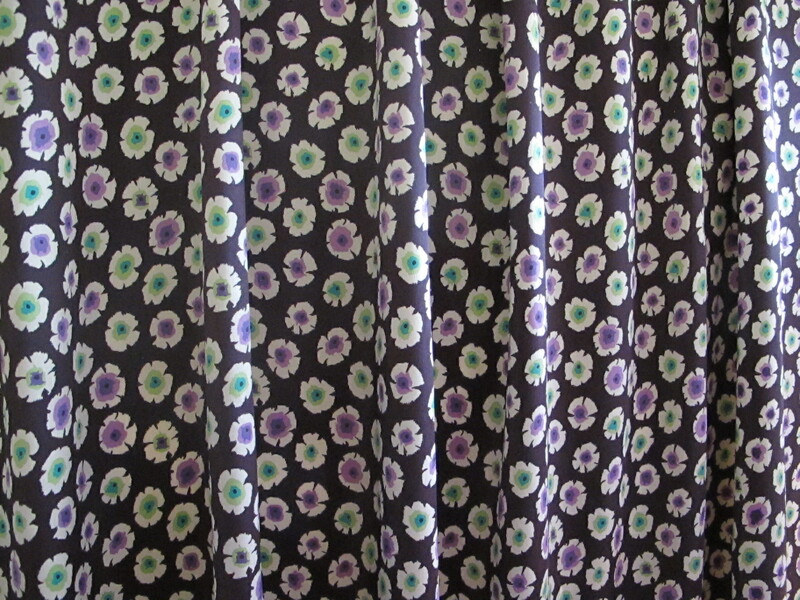 Some M@rc J fabrics can be snapped up at super-cheap prices, but this one cost more. I’m offering it up cheaper than the price I paid for it and will sell at $36 a metre. The fabric is 140cm and the length is 2.3 metres/$82 for the piece.